During my career I've worked for different companies, ranging from very small start-ups to the company I currently work for, with a revenue of over 1.3 Billion Euro. 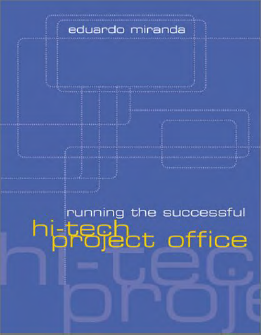 My functions involved design of complex digital systems on chip, system architect, project leader, group manager, and PMO. To get the most out of a PMO.... Be pragmatic. Simple solutions for complex scheduling and resource allocation is well appreciated by both the development community and the executive management. Not because of the simple solutions, but because of the speed of action possible by those solutions. 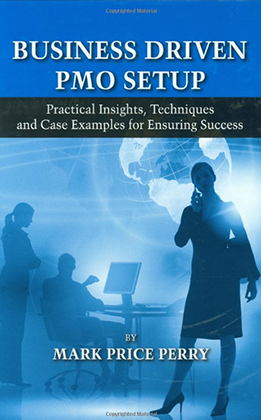 Setting up a PMO is an interesting task. It involves many disciplines, many stakeholders and different interests. The books shown on this page can be helpful in setting up a PMO. They can serve as guidelines, provide theoretical background information and they include practical material. Most important: Do what is needed and pick ideas from these books because there is no single way of correct acting, most valuable is the inputs and feedbacks from the team you work with.